You will love this charming single level home in the popular and friendly 55+ Sunbird Golf Resort. This home is 2 bedroom and 2 bathrooms. It includes a 1.5 car attached garage and gives you 1017 square feet of space to move about This home is perfect for a retired couple or investor. 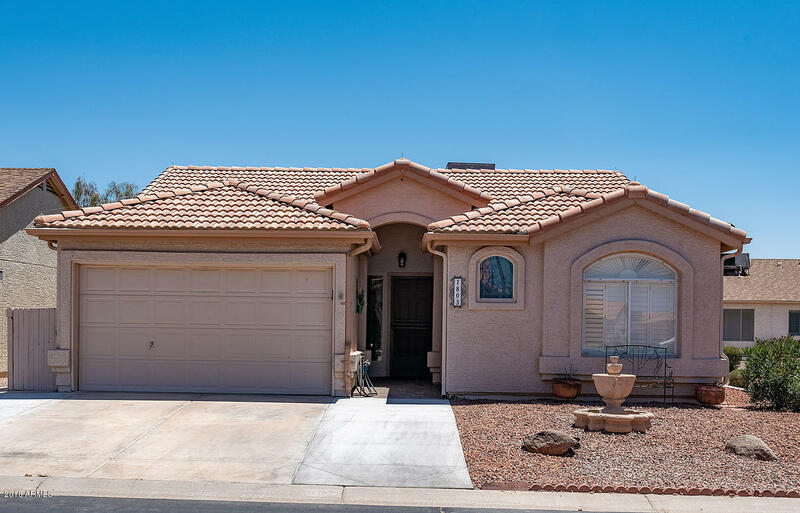 Situated in the friendly community on the outskirts of Maricopa County just 30 minutes to Downtown Phoenix. Sunbird offers a semi public 18 hole golf course with a clubhouse/restaurant. Enjoy the tennis/pickle ball courts, two pools and a spa. There is also an onsite post office, driving range, billiards room, multiple clubs and crafts. You will love the Sunbird life.